This Borean Leather farming guide is made to help you farm Borean Leather. I decided to search for places with high density of mobs which I can skin and drop Borean Leather. 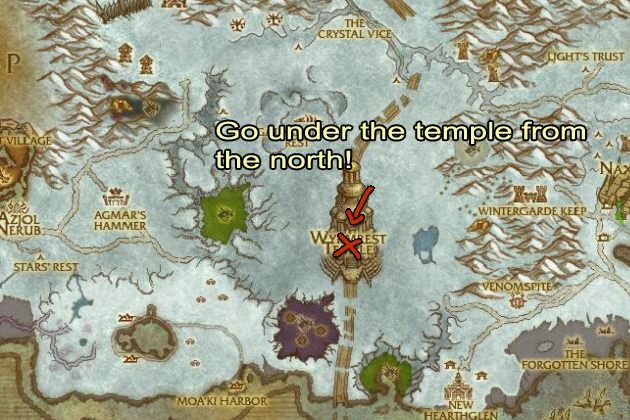 I traveled around Northrend, and after a while I made a list of places. IMPORTANT: Learn Northrend Skinning from any of these NPCs below before you start farming. You can skin these mobs without Northrend Skinning, but you will get a lot fewer leathers. Trapper Jack in Borean Tundra. Frederic Burrhus in Howling Fjord. Tiponi Stormwhisper in Borean Tundra. Roberta Jacks in Howling Fjord. 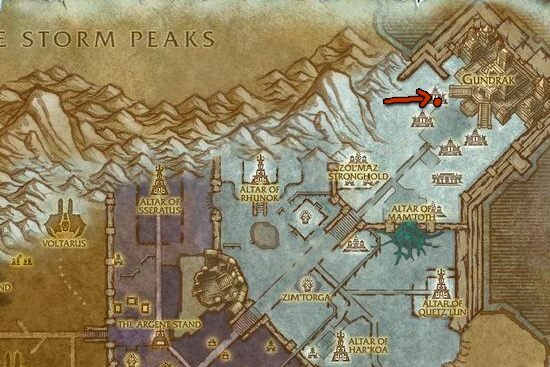 The best place to farm Borean Leather is the The Ruby Sanctum raid, but you have to be at least around level 95 to farm there efficiently. Check the places mentioned below if you have a lower level character. Important! Set the instance to normal. Gundrak is the best place to farm if you can't farm solo Ruby Santrcum yet, but you still have to be around level 90 to farm there efficiently. You only have to kill Unyielding Constrictors in the first part of the instance, then run out and reset. You can reset the instance by right clicking over your own portrait then click the "Reset all instance" button. This restarts the whole instance and all mobs will be back. You can only do 10 instance runs in an hour, and one run will take about 3-4 minutes, this means you will have around 20-30 minutes downtime when you can't enter the instance. Fortunately, a very good farming place is right outside of the instance, you can read more about this at the Zul'Drak farming section below. Note: Gundrak has two entrance. You have to enter through this one. 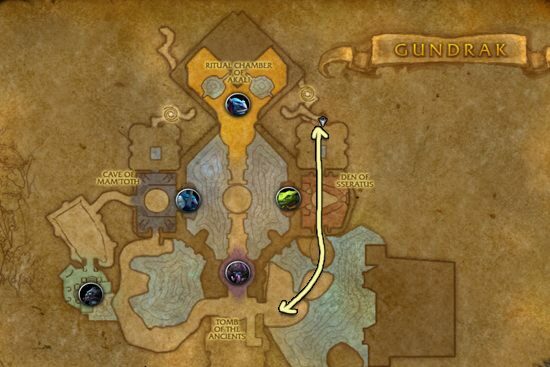 You will find a lot of Gundrak Raptors in Zul'Drak near Gundrak instance. These raptors are a bit spread apart, so first you might think this is a bad place to farm, but they drop 1-3 Borean Leather, which makes this place really good. 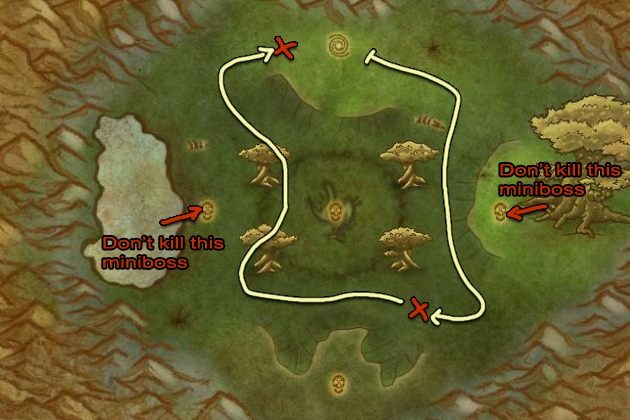 You should follow the red line on the map below and by the time you do a full circle, the mobs will respawn at the start, if they didn't respawn you can just skin a few bats until they do. You will get more leather/minute if you use your mount after each raptor if the next one is far away. This place cannot support more than one farmer. Sholazar Basin is a decent place to farm, you will find Hardknuckle Foragers and Hardknuckle Chargers around Frenzyheart Hil. The area around the Engine of the Makers is also a good place to farm. There are lots of Rhinos and Dragons here. You can also go into the cave called Gimorak's Den, I marked it with a yellow X on the map. These are my favorite places for Borean Leather farming. Contact me if you have other great farming spots! Visit my Savage Leather farming page when you have enough Borean Leather!